Tom Crean's Epic Solo March, Feb 18th 1912. On the 18th of February 1912, Tom Crean, Bill Lashly and Edward Evans reached Corner Camp on Antarctica’s Ross Ice Shelf, but they were still 35 miles from the refuge of Hut Point. 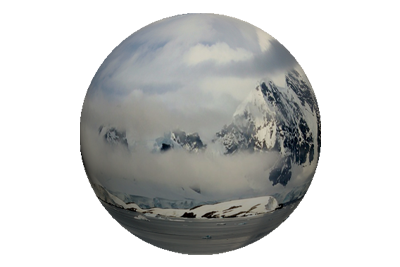 The three men had parted ways with Scott and his team, approximately 150 miles from the South pole on January 4th. Crean and Lashly had been hauling the scurvy ravaged Evans on the provisions sledge for days, their rations were all but depleted and they were utterly exhausted. Evans had suffered snow blindness on the perilous descent of the Beardmore Glacier, and shortly afterwards, he started displaying signs of scurvy. These symptoms quickly escalated. Twice in a few days prior to February 18th, they had thought that Evans had died, such was the graveness of his condition, and it was patently obvious to them that time was not on his side. They calculated that at their current pace it would take them another four to five days to completed the journey, at which stage they knew, they would be arriving at Hut Point with the body of their Lieutenant. 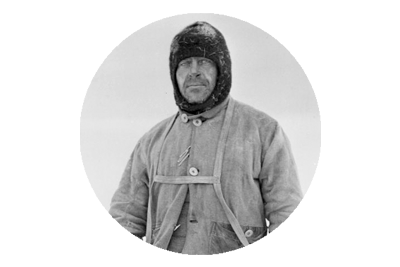 In what has been described as the single most selfless act of courage in the history of exploration, Tom Crean volunteered to complete the journey alone, while Lashly would remain behind to tend to Evans who they had placed in their tent. All Crean took with him were a few biscuits and a piece of chocolate for sustenance. He did not bring his sleeping bag as he did not intend to stop until he reached the hut, and he literally left on foot, as they had earlier dumped their skis in an effort to lighten the sledge. As the bitter winds howled around him, Crean walked, stumbled, crawled and fell, but onwards, always onwards. In a ceaseless, determined effort, negotiating crevasses and at times battling through waist deep snow, he covered 16 miles before pausing to eat two of his three biscuits and the chocolate. Knowing that time was of the essence, if Evans was to be rescued, he recommenced the march after barely five minutes rest. 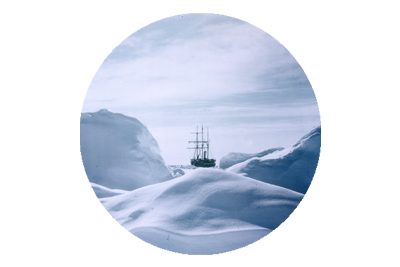 Hours of relentless progression passed, and left in Crean’s wake was miles of hostile Antarctic ice. Each gasping breath and each weary step, of his noble effort brought him closer, ever closer. As he neared Hut Point the conditions were treacherous, with very unstable sea ice beneath his feet, and the constant peril of falling into one of the many icy crevasses, ever present. In the skies overhead a storm was forming, raging in the distance he had covered, and Crean knew there was no hope of survival if it caught him before he reached shelter. He somehow summoned the strength to climb Observation Hill in order to bypass the precarious ice, and once atop he scanned the area below for signs of activity, but all was quiet. The hut was one of two being used by the expedition, and there was a real possibility that it could be empty. 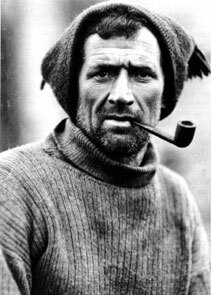 If so then Crean faced the prospect of a further slog of 15 miles to the hut at Cape Evans. As the blizzard began to take hold behind him, he made for the hut, and noticed the presence of dogs outside, which could only mean the hut was occupied. His elation, one can hardly imagine, let alone put to words. 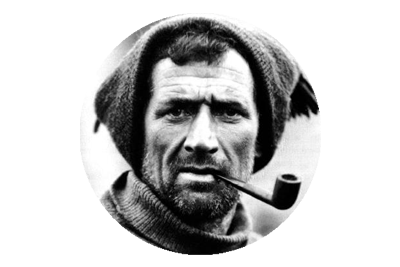 Tom Crean collapsed through the door at Hut Point at around 3.30 AM on 19th of February, almost delirious with hunger and exhaustion. His epic solo march had taken him 18 hours. By chance Atkinson, the expeditions doctor and Dimitri, the dog handler, were at the hut as they were on their way to meet with Scott, on his return from the Pole. Rescue for Evans and Lashly was delayed as the blizzard Crean had managed to outrun, hit with powerful ferocity. But once it had abated Atkinson and Dimitri headed out in search of the men, and refused Crean’s plea to join them. When Atkinson and Dimitri located the men, Evans was almost dead, but they got them back to Hut Point and Evans would ultimately survive and recover fully. Tom Crean and Bill Lashly were later awarded the Albert Medal for Conspicuous Bravery, for their efforts in saving the life of Lt. Edward Evans. On the return trip Tom Crean would volunteer to march alone into the Antarctic whiteness, on a solo trek of 35 miles to save his dying friend, Teddy Evans. This effort came at the end of a 1,500 mile return march, hauling a sledge in harness, in the unforgiving and brutal Antarctic climate. Crean somehow completed the course in 18 hours, and saved the life of Evans, and that of Lashly who stayed behind to care for him. In Greece they named the Marathon in honour of a 26.2 mile dash. In Ireland we somehow chose not to remember the exploits of Tom Crean. Celebrated yearly at South Pole Inn on the Dingle peninsular, co Kerry S Ireland. Should be a Polar Medal!